Life In A Day is a historic film capturing for future generations what it was like to be alive on the 24th of July, 2010. Executive produced by Ridley Scott and directed by Kevin Macdonald. Soundtrack available here @ http://goo.gl/N9F6O For more information on Life In A Day, visit http://www.youtube.com/lifeinaday. 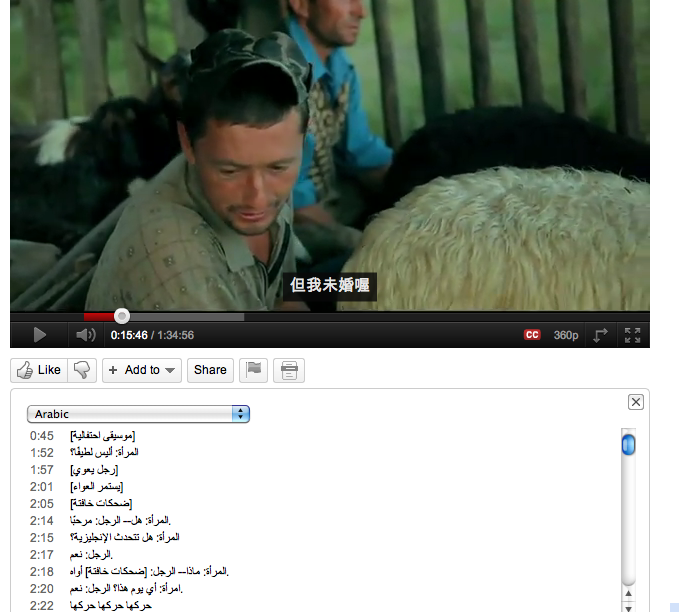 I think the range of localisation you can get with language and captions and the interactive transcript function is pretty cool as well - you can click through and pick up where ever you want in the film.